The time of 21st century is a good time to enjoy because it has brought in a wave of interconnectivity like never before. Nowadays, with just one click, we can be transported to a realm of digital culture of connection and interaction. There is no better demographic who subscribe to this culture than the social media savvy and highly influential millennial moms. The highly influential mothers share everything online - I see my friends and family sharing their kid's milestones to their own struggles and fulfillment as moms plus medley of life hacks and recommendations. Sometimes though, being exposed on social media can create an atmosphere of competitiveness which often lead to rise of insecurities. Moms try to find smart tips online and read best practices of others, it is quite hard to avoid comparing oneself to "more effective moms" who seems to be doing well and handling motherhood like a breeze based on their social media posts. Most who have youngsters at home are also faced with quick-witted and curious offsprings. As kids become more exposed to digital content and experience a more competitive world, their minds jump a notch on maturity which can lead to the wittiest conversations with the adults. Moms of course always fall as a victim. No words can sometimes be enough to satisfy their every growing curiosity! While in awe, moms sometimes end up thinking — am I really good enough? Nobody works harder than these superwomen. But with this culture of being socially-wired and virtually connected, feeling short of being effective is a struggle for the digitally savvy millennial mom. The good news is there are also many available things that mommies can utilize as tools to drive their daily doubts away. Gardenia Delicia is the newest secret weapon to make moms feel confident, help them outwit their kids during smarty-pants discussions and the best ingredient to create proud moments that they can share with other moms. A little swoosh of chocolatey sweetness made from the finest ingredients is something that any household cannot resist! It is available in hazel nut and milky chocolate flavors, a treat in a jar of delight for every Filipino home. There is nothing like a good old traditional feast over simple treats that make every heart grow bigger! 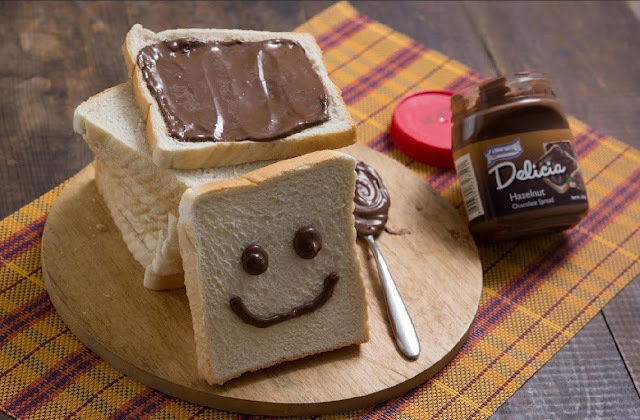 The sweet chocolate spread to bond the whole family and make kids happy is a formula that Gardenia offers every mom — just let Gardenia Delicia do the talking! Gardenia Delicia understands that the massive power of this culture of connectivity and virtual socialization can be used to inspire and empower young moms instead of push them back to a corner feeling insecure. Gardenia Delicia hopes to spread happiness, encouragement and confidence to the family members and friends with a swoosh of pure chocolatey goodness. After all, there’s nothing like a tasty chocolate treat to spread smiles to everyone. Check out Gardenia Delicia’s Facebook fan page to share your stories of delight! Recipes and serving suggestions are also showcased to help you get creative in how to delight your kids, families and even friends!